Whey Protein Isolate (9 g protein), Whey Protein Concentrate (8 g protein), Milk Protein Concentrate (4 g protein), Micellar Casein (4 g protein), L-Isoleucine, L-Leucine, L-Valine, Natural & Artificial Chocolate Cake Flavor, Sunflower Creamer, Colloid Ultrasmooth Powder (Cellulose Gum, Xanthan Gum, Gum Carrageenan), Acesulfame Potassium, Sodium Chloride, Sucralose. Consult your healthcare provider prior to use if you are pregnant, nursing, taking any medication or have any medical conditions. KEEP OUT OF REACH OF CHILDREN. STORE IN A COOL, DRY PLACE. TAMPER EVIDENT - DO NOT USE IF OUTER SEAL IS BROKEN OR MISSING. 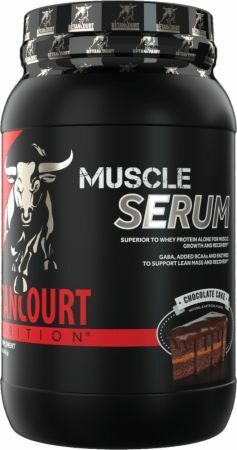 Whey Protein Isolate (9 g protein), Whey Protein Concentrate (8 g protein), Milk Protein Concentrate (4 g protein), Micellar Casein (4 g protein), L-Isoleucine, L-Leucine, L-Valine, Natural & Artificial Vanilla Cake Flavor, Colloid Ultrasmooth Powder (Cellulose Gum, Xanthan Gum, Gum Carrageenan), Acesulfame Potassium, Sucralose, Sodium Chloride, Calcium Carbonate. Does your protein work as hard as you do? 25g of total protein per serving in a full disclosure blend.